Whether you’re a prospective seller or a longtime homeowner, revamping your space may be on your to-do list. Before you begin, preview these design trends and learn how to make them your own. Add the latest color. From deep emerald to the lime hue of Greenery (the Pantone Color of the Year), verdant shades are instant hits. To incorporate the trend, sprinkle in a few eye-catching accessories or splurge on a plush, room-filling rug. Bring in bronze and brass. These of-the-moment metallics look luxurious, but they have economical price tags and complement a variety of colors and styles. Spruce up your kitchen cabinets with brass handles or use bronze light fixtures to warm up a room. Toy with texture. Whether you’re drawn to fabric wallpaper, a decorative wall hanging or a collection of well-placed throw pillows, texture is an easy way to make a space more inviting. And don’t shy away from mixed materials like leather and wool. Enrich your entryway. You have only one chance to make a first impression. For a small investment, you can transform your home’s entrance with an artisan-crafted credenza or an oversized mirror that amplifies the natural light. Update your countertops. Laminate options fashioned from recycled granite or glass are easy on the wallet and the environment. Want to go all out? Lighter shades in quartz, marble and wood are popular upgrades in today’s kitchens. Establish a shedquarters. Whether you work from home, want a relaxing retreat or host houseguests regularly, a separate on-site structure aptly dubbed a “shedquarters” may be a worthy addition. 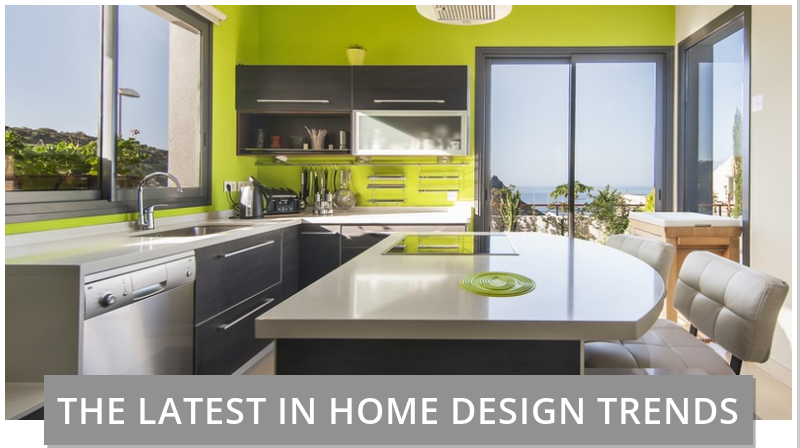 From a quick, low-budget change to a well-planned build-out, homeowners have several options when it comes to implementing the latest home design trends. We would like to wish all the Mom’s a very special Mother’s Day! Before putting your home on the market, get in touch for help in crafting a well-worded listing. You can reply to this email for specific advice. A sale may hinge on it. Decide on an appropriate selling price. Pulling comps in your area can give you a better idea of your home’s value. The real estate market has a way to speeding up and slowing down, and when the market gets speedy, homebuyers can have trouble buying a home they’re interested in before someone else snags it. We want to help! Here are some tips to help you when the market is fast paced. 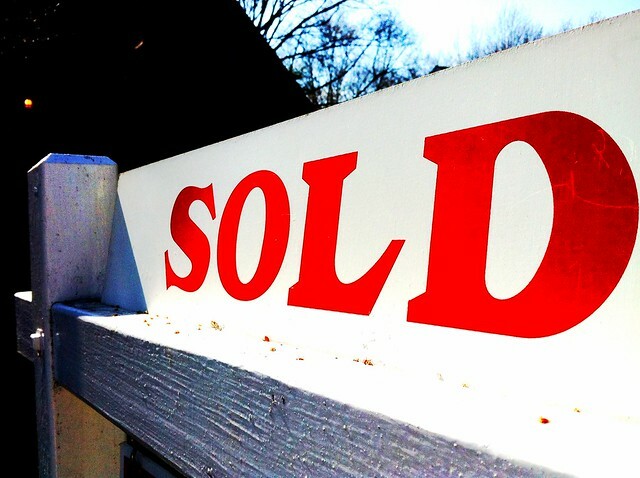 Download apps that will alert you the moment a home hits the market. Most reality websites and apps will have an option for this, USE IT. It was put there for a reason. Email alerts, app alerts, anyway to be sure that you are notified within minutes of a new home becoming available. In a fast paced market, you want an agent on your side and who puts in the work. Don’t be afraid to spend a little extra money on someone who will do their job right! Make sure they not only are quick with the market, but can simplify it all for you as well. Seems like a tall order, but really if you are paying, you order it! In a market that is fast, you have to be prepared to make an aggressive offer on a home you are interested in. In a market like this, there is no time to be picky, because before you know it, that home will be under contract with someone else. Hopefully these tips help you with your home purchase! From backyard and rooftop gardens to community plots in parks and vacant lots, urban agriculture has become a nationwide movement, and more homeowners have taken an interest in producing their own food. For many urban homesteaders, it stems from a desire to know where their food comes from and live more sustainability. Outing with a family and bonding with old friends is really a welcoming sight to see and cooking your favorite hot dogs, burgers on the grill is really entertaining. But when you are cooking on the grill you should be very careful, even a little bit of negligence can cause server damage and you will never forget the day for all the wrong reasons. So it is always safe to be prepared for unexpected emergencies. Here you can find some safety tips that can help you prevent fire accidents before they happen. 1. Maintain a safe distance: According to Denver Fire Department placing the grill on a proper place is very important. Position the grills away from deck railings and siding and don’t put them under overhanging branches and eaves. Maintain a safe distance; place it away from play areas, lawn games, and people. 2. Proper Dress to Protect: It is always suggestible to wear proper clothes while cooking on the grill or anywhere else. Avoid wearing loose or baggy clothes or aprons with strings and frills while cooking. And use fire resistant mitts when you are handling the food on the grill. 3. Proper equipment or tools: It is advisable to use proper tools while cooking food on the grill like long handle spatulas, basting brushes, tongs to protect from flames and heat. 4. Keep safety equipment ready: keeping fire extinguisher ready is suggestible especially when you experimenting food on the grill, and before that learn how to use a fire extinguisher. According to the recent reports that around 27% Americans do not have a fire extinguisher in their homes. And one-third of householders do not know how to operate fire extinguishers. For these people try aerosol fire spray such as Tundra Fire Extinguishing Spray, it is easy to use, and a very convenient option. 5. Always Attend the Grill: No matter what you should always be attentive while cooking on the grill. Don’t keep hot grill unattended. 6. Keep the grill clean: Always keep the grill clean, once you are done with cooking, clean it properly, remove all fat or grease buildups from the grill trays. 7. Check the Grill before using: check for wear and tear, if it is a propane grill then look for any fuel leaks before using it. During the winter season, make sure to store your grill in proper place. To find fuel leaks if any, put some soap water at the gas connection, if there is a leak you will see the bubbles, so that it helps you to take care of it immediately. Always be prepared for unexpected fire emergencies. Maintaining safety measures is always important, get some video on safety measure and learn how to protect yourself from fire accidents. The ASLA (American society of Landscape Artists) Colorado offers outstanding suggestion for making the perfect outdoor grilling activity more fun with friends and family. While a home’s curb appeal may draw buyers in, its interior matters just as much, if not more. Several features are high on the wish list of today’s homebuyer, including a modern kitchen. Whether you’re thinking of starting a remodel or you’re just curious about what the future holds, check out these trends that turn kitchens into buyer bait. Hidden appliances: Upgrading appliances is one of the quickest ways to add value to a kitchen. If you’re looking to impress a buyer with deep pockets, look into hidden appliances. What’s the appeal? Less obvious appliances keep the eye on the kitchen’s overall flow and design. Personalized pantries: The utilitarian kitchen pantry has evolved into a trending design element. Whether you choose a pocket door and complementary light fixture or a rustic barn door and wallpaper, there’s no shortage of ways to express your personal style. Don’t let a dated kitchen cost you when it’s time to sell your home. Incorporating a trend or two could be enough to give your kitchen the face-lift it needs to entice buyers.